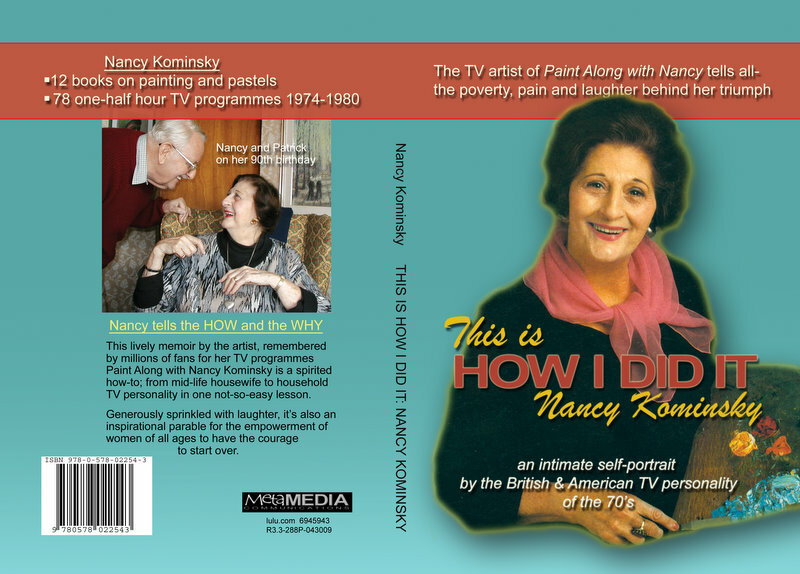 An intimate self-portrait by the British and American TV personality of the 70s – Paint Along with Nancy Kominsky – 10 years on PBS and ITV UK. This lively memoir by the artist remembered by millions of fans for her TV programmes Paint Along with Nancy Kominsky, is a spirited HOW-TO…from midlife housewife to household TV personality in one not-so-easy lesson. Generously sprinkled with laughter, it’s also an inspirational parable for the empowerment of women, of all ages, to have the courage to start over. I watched the uTube videos and I experienced laughter and near tears at various times. This is a life well lived and offering inspiration to others…especially remembering “you are never too old to begin again”. Life offers so many twists and turns; much happiness often comes after many tears influenced by grief, frustration and disappointment. 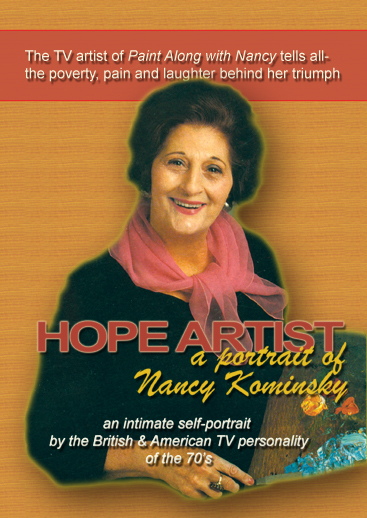 The Nancy Kominsky approach to Life and Living reminds me so much(in appearance as well) of a departed friend, Shirley B. Horowitz. This biography tells of an earned wisdom gained through experience, determination and perservance mixed with a good soul. This life story has drama, pathos, humour… and inspiration. Thank you for sharing it. God Bless you and Nancy Kominsky.